The Daily Beast fires Howard Kurtz in wake of Jason Collins story. 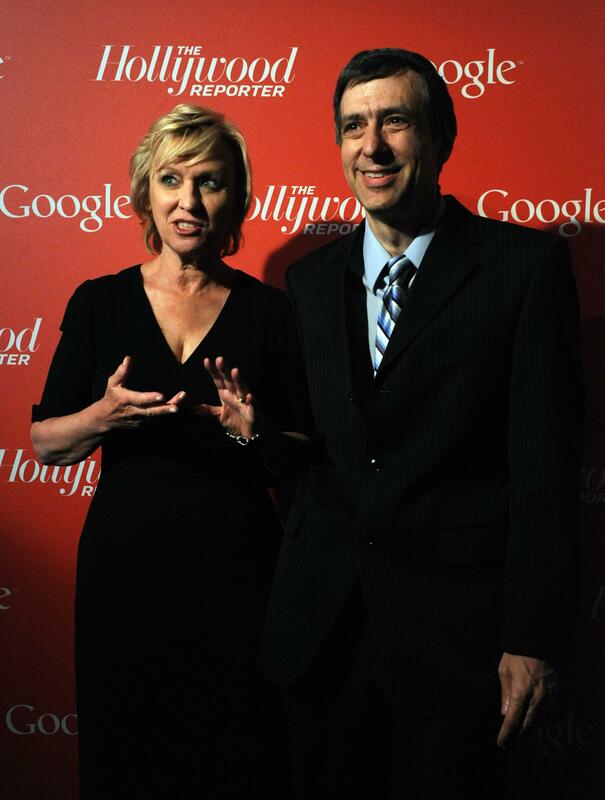 The Daily Beast Editor in Chief Tina Brown and Howard Kurtz arrive at a red carpet event hosted by Google and the Hollywood Reporter before the annual White House Correspondents’ Association dinner in Washington on April 27, 2012. Under the direction of our newly named political director John Avlon we have added new momentum and authority to our Washington bureau with columnists such as Jon Favreau, Joshua Dubois and Stuart Stevens joining our outstanding DC team of Eleanor Clift, Daniel Klaidman, Michael Tomasky, Eli Lake, David Frum and Michelle Cottle — giving us one of the best politics teams in the business which was instrumental in this week’s Webby win for Best News site. Well, yeah—wasn’t it? Now, I’m not joining the jihad against Kurtz. He was/is a fast and diligent media reporter; the one time I was the subject of his story, he was one of a very small number of reporters who actually tried to interview me. He got a quote from me on the first day, then brought me onto his show, then sat down with me afterward to get quotes for a column. This might sound like the basics of journalism, but it isn’t—Kurtz at his best out-hustles most people. On the whole, which Daily Beast reporter got more quick scoops? That leads us to the problem, though. Why did Kurtz devote so much time to media punditry? The Daily Download is built on an outdated vision of what works on the Internet. It doesn’t break news. With the exception of reporting by Ben Jacobs (a close friend, I should say), it doesn’t have much reporting at all. It’s surfeited with analysis, mostly by Lauren Ashburn, who—not to be a jerk—doesn’t have terribly compelling things to say about the news. Not many people do. The age of bloggy analysis is over, replaced by insta-punditry on Twitter. It’s unseemly to mock Kurtz. In a just world, he’d devote his full time to The Daily Download and rub the smug off the faces of its critics by breaking all kinds of news there.